Our Listening Bench has just been updated with the latest audio content. 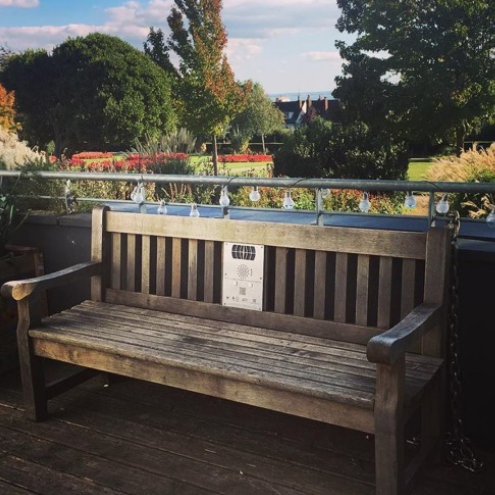 Find out what our artists in residency been up to and a listen to a new song by young musician from Southend – Leo C.
The Listening Bench is located outside Chalkwell Hall – on the decking facing the sea and is accessible 24/7. More information about the Listening Bench is here.